What Is Same Day Edit Videography? Simply put, the Same Day Edit service available for NY, CT, PA and NJ weddings is a short film of your getting ready, ceremony and other footage collected during the day that is edited on location. It tells a short version of your wedding that you can actually show during your reception and make available (for example, through social media) to friends, family and other loved ones who could not attend your ceremony. Same Day Edit videography is a fun and valuable addition to any videography package because you get to see the film even before you leave on your honeymoon. It’s like a gift to yourself that others will definitely enjoy too. It’s been so popular that several of the wedding video packages include a discounted option for Same Day Edit videography. You planned and prepped and stressed and took care of everything you could possibly think of leading up to your wedding day! Your time for worrying is over. Now it’s time to reap the rewards of all your hard work. So enjoy it to the utmost. Park Chateau Wedding This is a Wedding Same Day Edit (SDE) created for Alyssa & Gaetano, whose Ceremony and Reception were held at The Park Chateau Estate & Gardens, East Brunswick, NJ. The video was captured by 2 videographers, edited during the Reception and then shown to all those in attendance. This video was captured and edited by New Jersey leading Wedding Photography & Wedding Cinematography Studio – New Jersey Videography. Legacy Castle Wedding This is a Wedding Same Day Edit (SDE) created for Jessica & Robert, whose Ceremony was held at Holy Family Church in Nutley, NJ and Reception at The Legacy Castle in Pompton Plains, NJ. The video was captured by 2 wedding videographers, edited during the Reception and then shown to all those in attendance. This video was captured and edited by New Jersey leading Wedding Photography & Wedding Cinematography Studio – New Jersey Videography. 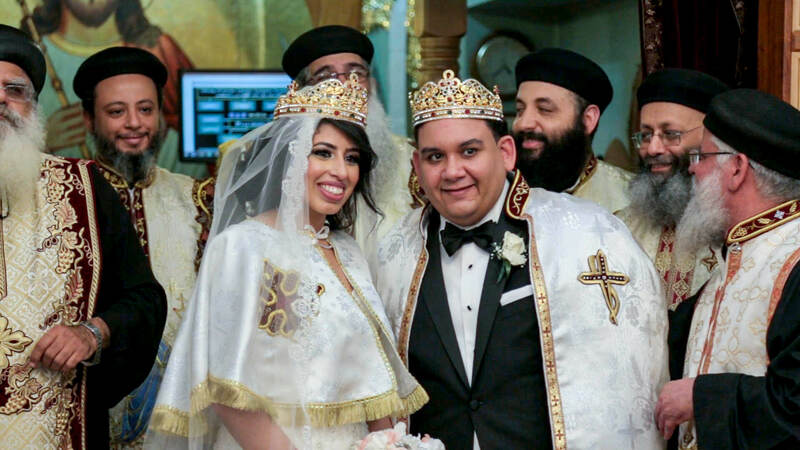 Venetian Wedding This is a Wedding Same Day Edit (SDE) created for Nadra & David, whose Ceremony was held at St Antonious & St Mina Coptic Orthodox Church in East Rutherford, NJ and Reception at The Venetian Catering & Special Events in Garfield, NJ. The video was captured by 2 wedding videographers, edited during the Reception and then shown to all those in attendance. This video was captured and edited by New Jersey leading Wedding Photography & Wedding Cinematography Studio – New Jersey Videography. Pleasantdale Chateau Wedding This is a Wedding Same Day Edit (SDE) created for Alice & Steven, whose Ceremony and Reception were held at Pleasantdale Chateau in West Orange, NJ. The video was captured by 2 videographers, edited during the Reception and then shown to all those in attendance. This video was captured and edited by New Jersey leading Wedding Videography & Wedding Cinematography Studio – New Jersey Videography – East Brunswick, NJ. Olde Mill Inn Wedding This is a Wedding Same Day Edit (SDE) created for Melissa & Michael, whose Ceremony and Reception were held at Olde Mill Inn in Basking Ridge, NJ. The video was captured by 2 videographers, edited during the Reception and then shown to all those in attendance. This video was captured and edited by New Jersey leading Wedding Videography & Wedding Cinematography Studio – New Jersey Videography – East Brunswick, NJ. All editing takes time to get right. In fact, for every minute of a finished film, an editor may need up to three hours of work. That’s right: three hours. Editing is by far the most time-consuming aspect of video production. This rule of thumb generally holds true for wedding videos as well. So you might think it impossible for Same Day Edit videographers to complete their work. If a wedding ceremony lasts 45 minutes, for instance, that’s two hours of work. Then add in the video of the rehearsal dinner, the bride getting ready, the groom waiting at the altar, the photo shoot, the introductions, the toast(s), the first dance, cutting the cake, and so on. It takes a lot of work to pull it all together. Despite the seemingly impossible task, Same Day Edit videographers always manage to not just cobble something together, but to produce a beautiful short film that captures the key moments of your New York or New Jersey wedding. You and your guests will ooh and ahhh at the right places. You’ll laugh and cry at the right places. Because it’s a special reminder that this is your special day. Marina said… I have never written a review for a vendor, but felt compelled to do it in this instance. At a friend’s recommendation, we booked Alex as our wedding videographer and he was fantastic!! Alex was super attentive and went out of his way to make sure he captured every moment of our wedding day! He did this all without being intrusive or ever getting in the way. In addition, Alex and his second shooter often would direct the photographers that we hired to take pictures of things that the photographers would have otherwise missed. At the reception, Alex put together a Same-Day Edit video for us which all of our guests loved. Everyone raved at how quickly he had put together such an excellent recap of our day. I wouldn’t hesitate to recommend Alex to anyone!! 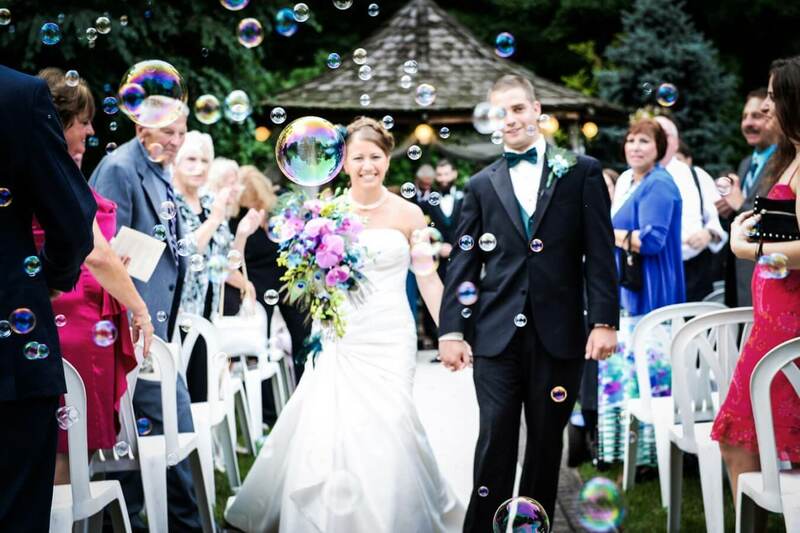 Same Day Edit Videography can really add to your reception festivities. And your guests will love it so much that they may demand to see it again! The film includes top-quality editing, the hard work of Same Day Edit videographers. It uses the same type of creative and artistic flair you’ll see in the longer Cinematic Wedding Film, but it’s edited on-site to save time. Let the experts you’ve hired take it from here. 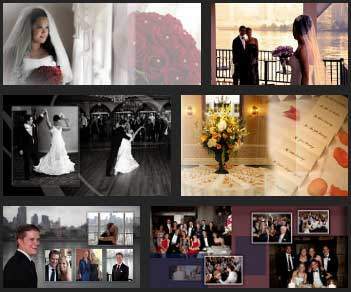 The friendly, experienced crew at New Jersey Videography knows how to deliver your Same Day Edit videography. The wedding film will be a reflection of all you do and experience on this day. So go ahead — create all the magical memories you desire. Make your wedding everything you want it to be. Pour your heart into your wedding day. Make your love story the one you share. New Jersey Videography is ready to capture it all for you and produce an equally enthralling wedding film story for you to enjoy and share with all your loved ones.